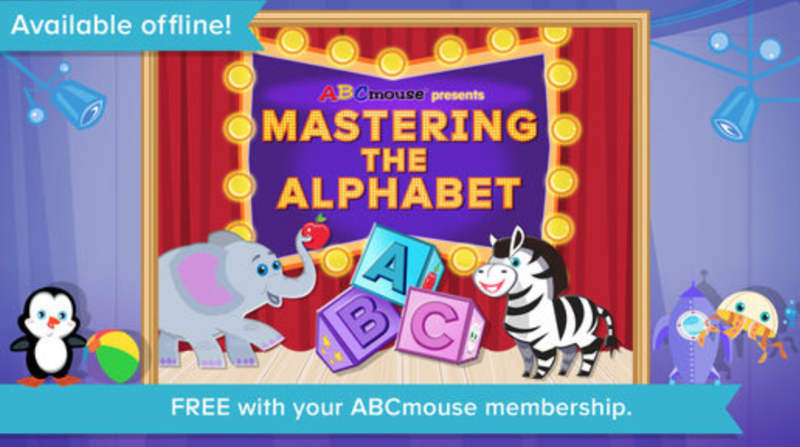 I’m pleased to announce that Age of Learning recently launched our new Mastering the Alphabet mobile app, which is now available to all ABCmouse members via the Apple App Store and on Google Play! Mastering the Alphabet is the second mobile app built on our Personalized Mastery Learning System, which creates an individualized learning path for every child. This is our first mastery app for language and literacy, and the first to offer offline access. Mastering the Alphabet adapts which letters are presented to a child by balancing what he or she already knows and needs to learn with practice. The game further personalizes the learning experience by prioritizing the letters of the child’s name and by allowing children to decorate their letter blocks with custom art. With each demonstration of letter mastery, these letter blocks are brought to life with delightful animations that set the stage for reading success! This new app is the seventh in our Constellation app series, following ABCmouse Mathematics and Science animations. You can learn more about the first six apps by reading this blog post on AgeofLearning.com.